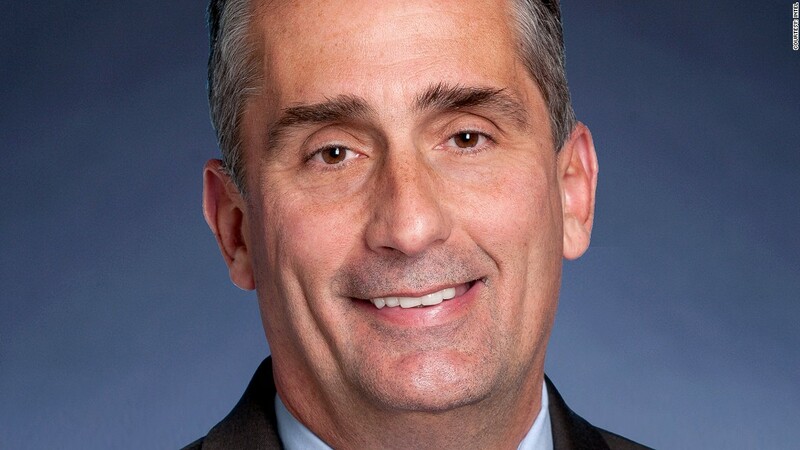 Brian Krzanich will take over as Intel's CEO on May 16. Intel said Thursday that Brian Krzanich, currently the chipmaker's chief operating officer, will become the company's new CEO on May 16. Current CEO Paul Otellini announced in November that he would be stepping down this month after 38 years at the company, the final eight of which were at its helm. "I look forward to working with our leadership team and employees worldwide to continue our proud legacy, while moving even faster into ultra-mobility, to lead Intel into the next era," Krzanich (pronounced "ker-SAN-itch") said in a prepared statement. As Intel (INTC) tries to navigate its way through a transition in computing from PCs to mobile, investors were closely watching to see whether Intel would pick one of its own -- as it has always done -- or an outsider as its new CEO. The 52-year old Krzanich has been at Intel for 31 years. Since joining Intel straight out of college in 1982, Krzanich has held jobs as a process engineer, a manufacturing manager, a plant manager and the head of assembly testing. Shares of Intel were flat in early trading. Yet the company's board believes Krzanich will be the right person to steer the company in a new direction. "The board of directors is delighted that Krzanich will lead Intel as we define and invent the next generation of technology that will shape the future of computing," said Andy Bryant, chairman of Intel, in a prepared statement. Bryant also praised Krzanich's "open-minded approach to problem solving." If that proves to be correct, that out-of-the-box thinking could come in use. The recent shift in computing is one that Intel hasn't always found itself on the right side of. Intel dominates the PC market, but it is just making its way into mobile phones and tablets six years after Apple (AAPL) unveiled the iPhone and changed the computing landscape. Though Otellini's Intel has since made great strides at getting its chips inside smartphones and tablets -- including a high-profile partnership with Google's (GOOG) Motorola -- it is still threatened by British chip designer ARM (ARMH), whose licensed designs appear in 95% of all mobile devices. Even the three-decade old Wintel partnership that brought both Microsoft (MSFT)and Intel to prominence is no longer an exclusive marriage. Microsoft made a new version of Windows available on ARM processors. In an attempt to tighten its grasp on the mobile computer market, Intel began to push its Ultrabook vision on PC makers. Otellini promised that the lightweight computers, whose design specification Intel licenses to manufacturers, would make up 40% of PC sales by the end of 2012. That didn't happen. Ultrabook prices remain high, and sales have been lackluster, along with the rest of the PC market.